We’re Lux Rides: It’s great to meet you. 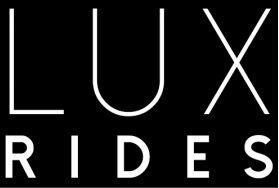 Lux Rides is here to take you places. You are seeing this page because you’ve utilized services from Posh Rides in the past or are interested in doing so, and we’ve recently acquired their talent and base of important customers or future customers like you. Lux Rides assures exceptional, safe and reliable transportation for executive business travelers throughout the metro Phoenix area. We’re excited to provide you with future luxury transportation needs. Have questions, or want to sample our rates? Please don’t hesitate to contact us or request a quote. See you around the block.